There are some enemies that have areas that can be destroyed, called "Parts." 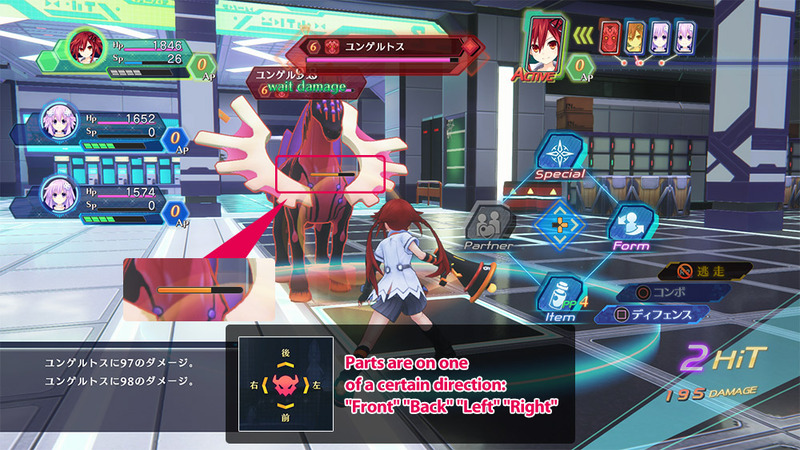 By reducing the HP of these parts to 0, you can destroy them, causing a "Parts Break." 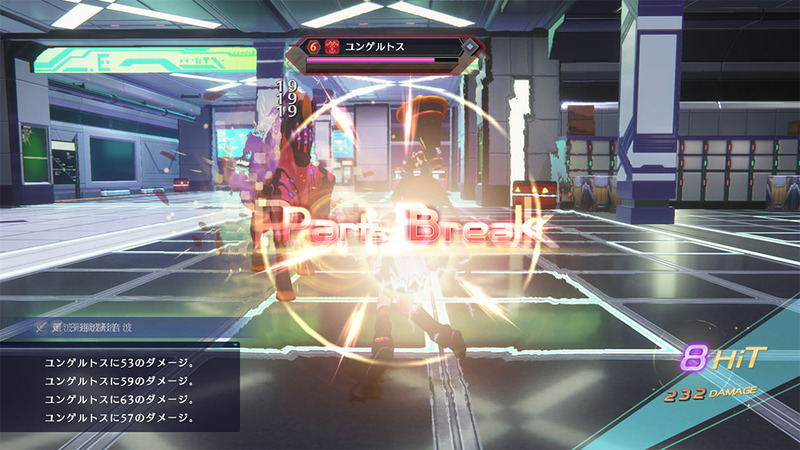 Enemies that have Parts destroyed by Parts Break can have their defense lowered, or be unable to use certain attacks. When attacking an enemy, if you attack in the direction a Part belongs to, you will deal damage to the Part along with the main enemy. If damage is dealt to a Part, a yellow gauge will be displayed. By using "Formation Skills," you can deal damage to all Parts. By reducing a Parts HP to 0, "Parts Break" will be activated. A special Parts Break bonus will be added to EXP and Credits for each Part destroyed by a Parts Break.